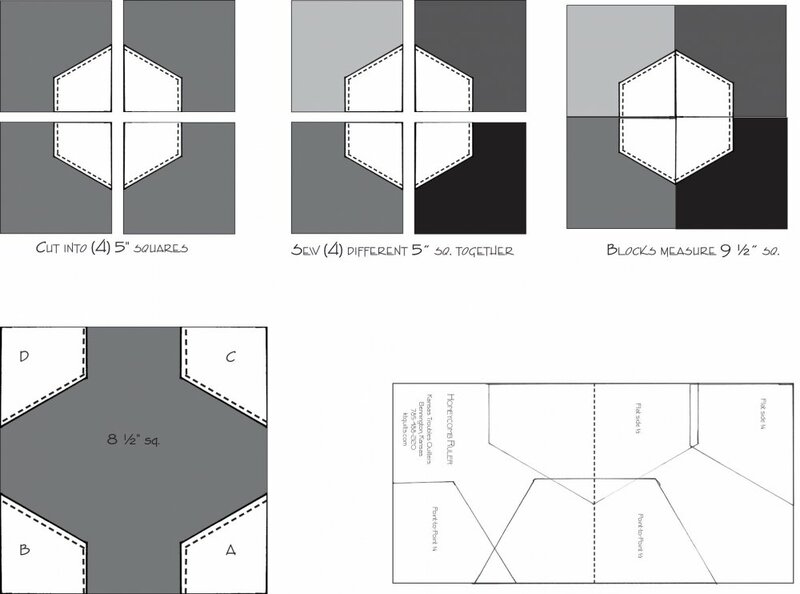 Our KT Honeycomb Ruler makes layering, centering and cutting precut hexagons more accurate for even faster results. Used with our Bee's Knees pattern - 2 projects in pattern. More projects featuring the ruler and honeycombs coming in 2014.